NASA announced that its working to send a robotic spacecraft to an asteroid in 2016, all in an effort to help scientists discover how life began. The $800 million mission, which will call on a robot to collect pieces of the asteroid, will be the first US mission to carry asteroid samples back to Earth. Expected to launch in 2016, the spacecraft is scheduled to reach the asteroid dubbed 1999 RQ36 by 2020, and then return to Earth in 2023. "This is a critical step in meeting the objectives outlined by President Obama to extend our reach beyond low Earth orbit and explore into deep space," said NASA Administrator Charlie Bolden. "It's robotic missions like these that will pave the way for future human space missions to an asteroid and other deep space destinations." 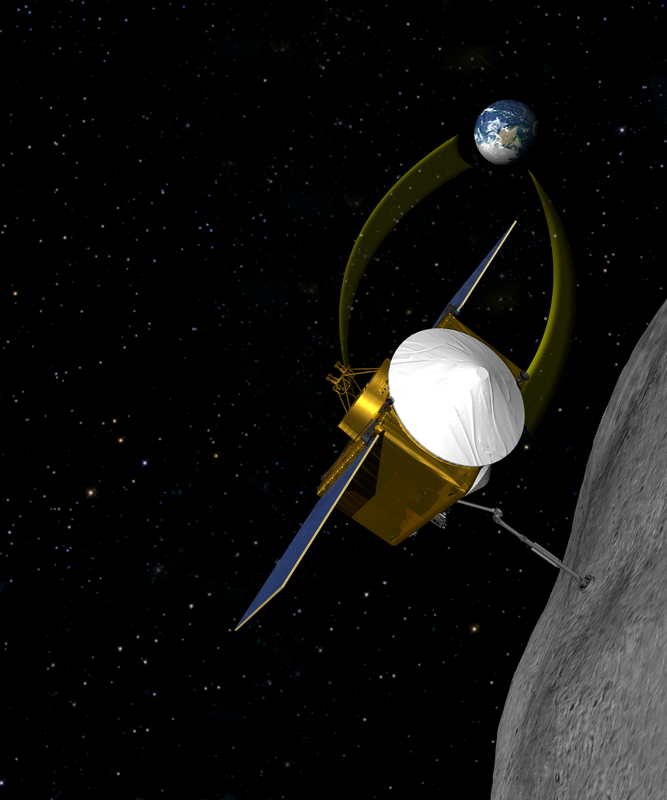 NASA says the spacecraft, which was given the lengthy name of Origins-Spectra-Interpretation-Resource-Identification-Security-Regolith Explorer (OSIRIS-REx), will come within three miles of the asteroid and then hold that position for six months to map the object's surface. The asteroid is about the size of five football fields, NASA reports. After that is accomplished, the spacecraft will move in to a distance of about six feet from the asteroid, said Michael Drake, principle investigator on the mission. The spacecraft's robotic arm will then deploy, reaching out to first blast the asteroid surface with nitrogen gas so a device, which resembles a car air filter, on the end of the arm can scoop up more than 2 ounces of the loosened material. The robotic arm will then stow the material inside a three-foot capsule attached to the spacecraft. At that point, the spacecraft will head out on a return voyage to Earth. However, Drake said the entire spacecraft will not actually land back on Earth. About six hours before it would hit the Earth's atmosphere, the spacecraft will release the capsule, which will then continue on to Earth and eventually parachute down to a spot in a military area in Utah. The spacecraft itself will turn and head out into an orbit around the sun, according to Drake, who said NASA wants to be able to use the spacecraft on other missions and can call it back into surface from its distant orbit. Back on Earth, the capsule will be taken to the Johnson Space Center in Houston, where the asteroid sample carefully will be removed and delivered to a dedicated research facility following "stringent planetary protection protocol." Drake said the don't believe there was ever life or anything dangerous on the asteroid but instead they want to protect the sample from being contaminated with anything from Earth. The space agency noted that asteroids are leftovers formed from the cloud of gas and dust that collapsed to form our sun and the planets about 4.5 billion years ago. Scientists calculate that they contain the original planet and star-forming material, which they hope can tell us about the conditions of our solar system's birth. NASA also pointed out that the asteroid, little altered over time, is likely to represent a snapshot of our solar system's infancy. "This asteroid is a time capsule from the birth of our solar system and ushers in a new era of planetary exploration," said Jim Green, director of NASA's Planetary Science Division. "The knowledge from the mission also will help us to develop methods to better track the orbits of asteroids."